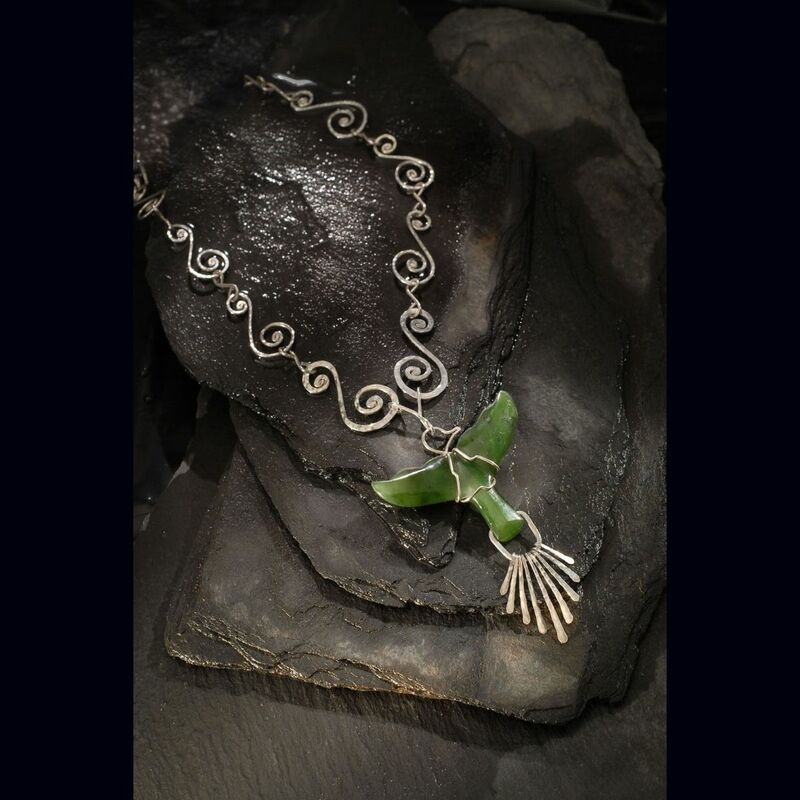 For this item, I used a Mauri whale tail-shaped Wyoming jade as the centerpiece. I inverted it to represent a fish eagle. I attached it to a hammered sterling silver spiral link chain. On the other end of the tail, I attached a fan-shaped spread of nine hand-forged silver wires, which completed the look of a fish eagle. This unique necklace is about 20 inches long, and with its largest link, the necklace is about a half inch wide. This wedding ring set is made of hammered solid sterling silver and hand-forged 14-karat gold. Each ring features a lovers' knot that speaks about infinite love and devotion. This pair is available from size 6 to size 13 and can be customized to accommodate half sizes. Heavy 925 sterling silver hand shaped, hammered, and cold forged into an infinite spiral. Unisex adornment for the modern ages. Communicate with Charles L. Ramseyer about making your dreams or ideas happen. Sterling Silver and 14/18k Gold are used with Ancient techniques and methods to create modern body adornments. Utilize stones or crystals you have that you would like to EMPOWER as a modern goddess of the now.